Left: v0.2.213978811 beta, Right: v1.0.220812418. 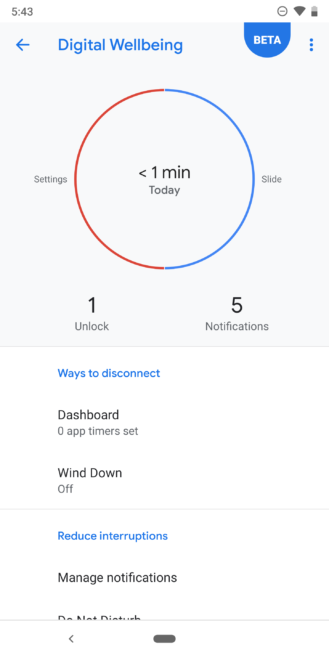 So far as we can tell, the only significant difference between the final beta and the new v1.0 build is the lack of the beta indicator in the top right corner of the first pane in Digital Wellbeing. There doesn't appear to be any expansion in device compatibility according to my own tests, or any visible change in functionality outside a negligible tweak in phrasing. We reached out to Google for information about the v1.0 release, but did not receive a response at the time of publication. If we spot anything more, we'll let you know, but in the meantime, the update appears to be rolling out via the Play Store — though the listing hasn't been updated to remove the beta label. If you'd like, you can download the new release early via those fine, attractive, intelligent, and generally congenial folks at APK Mirror (hint: it's us). 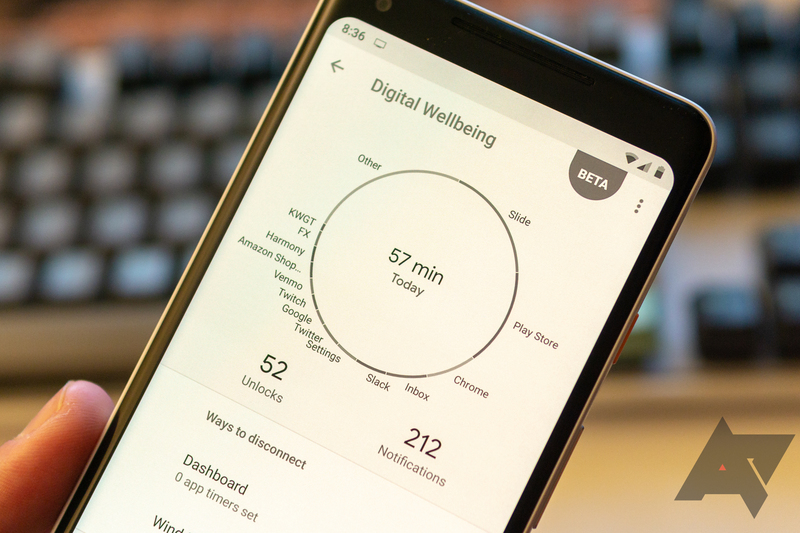 Google has finally updated Digital Wellbeing's Play Store listing, confirming that the app "is now out of beta and available on all Google Pixel and Android One devices with Android 9.0 Pie." 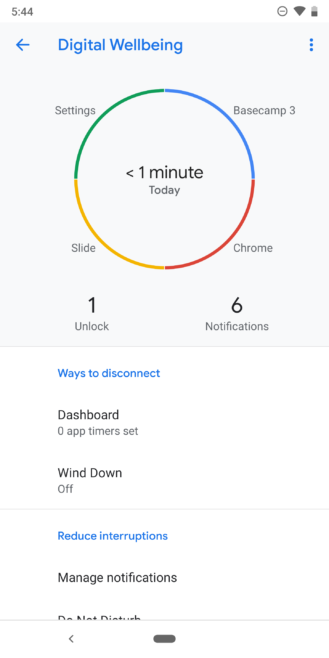 Beyond that, the company also advises us to look out for improved back-button behavior and changes to Wind Down logic.